Here is the perfect ranch you have been looking for! 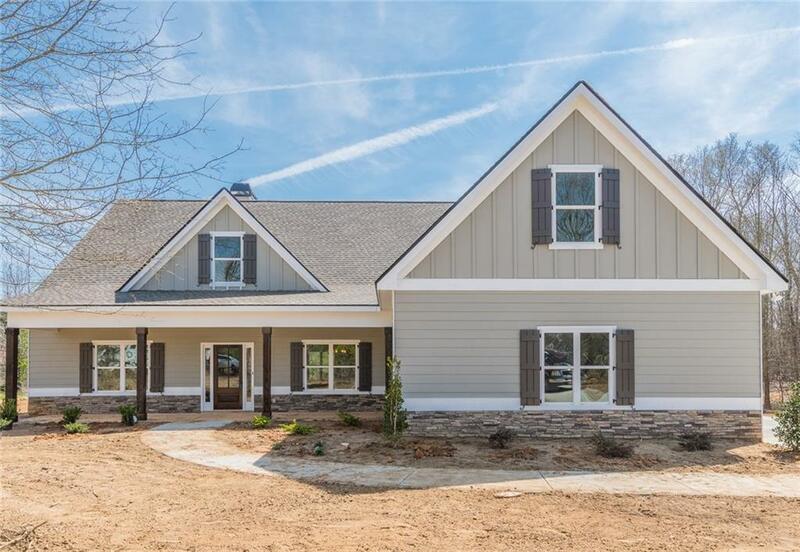 Walk in the front door of this new construction featuring an open floor plan with open shelving in the kitchen and family room and stacked stone fireplace that gives your family room that warm and cozy feeling. Master bedroom with exposed beams, en suite complete with separate tile shower, claw foot tub, double vanities and oversized closet. Don't forget the cover back porch with fireplace. Walnut Grove school system. Directions: From Atlanta, I-20 To Hwy 138 Exit, Right On Youth Jersey, Left On Cook Rd, House Is On The Right.